How Much Compensation For An Injury Caused By Inadequate Protective Equipment? 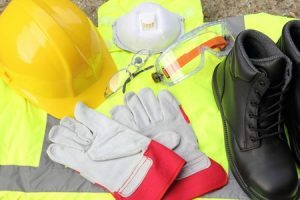 One of the ways employers are expected to safeguard their workforce or employees is through the provision of what is known as Personal Protective Equipment (PPE). The purpose of the PPE is to safeguard or shield workers from potential hazards in the workplace. Unfortunately, there will always be a risk of injury in the workplace, no matter how committed employers are to safety and prevention. However, as this problem exists, the use of Personal Protective Equipment should diminish these risks. As a result, any issue resulting from an inadequate protective equipment accident may be liable for a compensation claim. One important thing every employee should always remember is that it is the duty of the employer to provide a safe working environment and safe personal protective equipment for its employees. Therefore, when an accident caused by lack of health and safety protective equipment occurs, the liability may belong to the employer. This aim of this guide is to talk about protective equipment work accident compensation claims for those who have a valid reason to make a claim. In this guide, we will try to answer many frequently asked questions on this subject. By the time you have finished reading this guide, you should be able to understand what and how to make any compensation claim based on an accident caused by protective equipment. To make things easier, we have included our contact details at the bottom of the guide for anyone in need of additional advice. A guide to claiming for an injury caused by inadequate protective equipment. Claiming for electric eye injuries caused by inadequate protective equipment. Claiming for burn injuries caused by inadequate protective equipment. Claiming for soft tissue injuries caused by inadequate protective equipment. Claiming for fall accidents caused by inadequate protective equipment. Other common injuries caused by inadequate protective equipment. Claiming for inadequate protective equipment as an employee. Claiming for inadequate protective equipment as a member of the public. Inadequate protective equipment facts and statistics. Assessing the severity of an injury caused by inadequate protective equipment. The long-term effects an injury caused by inadequate protective equipment. What to do if you have suffered an injury caused by inadequate protective equipment. What can be claimed for after an accident due to an injury caused by inadequate protective equipment. No win no fee inadequate protective equipment claims. How much can I claim for an injury caused by inadequate protective equipment. How to start an inadequate protective equipment accident claim. Why choose us as your claims service for an injury caused by inadequate protective equipment. This guide aims to help you understand protective equipment accident claims. With that in mind, this guide will help you navigate through the process of making a claim. The guide is divided into sections, with each section answering questions regarding this protective equipment and injuries. It covers claims for electric eye injuries, burn injuries, soft tissue injuries, fall accidents and other injuries caused by inadequate personal protective equipment. It also covers claiming compensation as an employee and as a member of the public. Thanks to the information contained within this guide, you will have a better understanding of how and when you can make a claim related to protective work equipment. However, if you have any further questions, we can arrange for a free, no-obligation consultation. Protective equipment is said to be inadequate when the employer provides PPE but fails to meet the other requirements as stipulated in the Personal Protective Equipment at Work Regulations. This means that you can wear PPE and still be at an unacceptable level of risk. Should an injury result, you may have a viable claim for compensation. One such risk is an eye injury, which could be caused by ill-fitting safety goggles. The goggles are expected to be fitted in such a way that they cover the eyes, preventing them from coming into contact with harmful substances in a workplace. However, some employers provide eye goggles which do not fit properly, which are defective or which are not suitable for certain tasks. If an eye injury occurs as a result of this, the employer may be liable. You can make an inadequate protective equipment compensation claim against the employer. In doing so, you can be compensated for your injuries. Burn injuries normally occur when the employee does not wear protective equipment or wears inadequate protective equipment. For example, wearing gloves which are too short or thin could result in a burn accident. In doing so, you may be affected by heat or chemical burns and your gloves will have failed to protect you. If you suffer burn injuries due to inadequate protective equipment, you can claim compensation against the employer. A solicitor will help you build a case and pursue a compensation claim. If you would like further advice on this matter, our contact details are found in the final section of this guide. A soft tissue injury will include damage to the tendons, ligaments and muscles which exist throughout the body. It can happen due to a strain or a sprain or even as the result of an overused part of the body during work. This is sometimes referred to as repetitive injury syndrome. This type of injury is can be prevalent, due to the fact that many jobs are repetitive in nature. This may cause a sprain or strain on a particular part of the body that is used for a repetitive task. It is the duty of the employer to provide the correct and suitable personal protective equipment, which would prevent the body from suffering sprains during work. However, if this is not the case and a soft tissue injury occurs, you may be within your rights to make a claim for compensation for your injury. Fall accidents are among the most common causes of personal injury. The percentage of injuries due to slips, trips and falls is very high and affects trades such as building, painting, mining and other occupations where climbing at height is necessary. Fall accidents can occur as a result of weak ladders, lack of (or inadequate) safety belts and broken harnesses. When this happens, the person falls to the ground and their injuries could range in severity from minor to fatal. In cases such as these, the employer may be liable for this type of injury and you can claim compensation based on the severity of the injury sustained. Head injuries as a result of no hard helmet (or an inadequate helmet) being provided. Foot injuries due to inappropriate footwear. Respiratory injuries due to the breathing of harmful fumes as a result of inadequate face masks. Body cuts due to inadequate overall wear. Whatever the cause of the injury, as long as it happened due to inadequate Personal Protective Equipment, you may be able to claim compensation for the injury. Your solicitor will assess the situation and advise on the way forward. full and proper protective equipment, both in hazardous and non-hazardous jobs. This is to help protect you from the risks of injury. However, if you are not supplied with the adequate personal protective equipment when doing a job and you suffer an injury, it is within your rights as an employee to seek compensation in this regard. We can give you the advice you need to pursue a claim and can help file your case in order to get the maximum possible compensation. A lack of adequate protective clothing can affect members of the public as well as official employees. Every occupier of premises has a responsibility to ensure that those who are visiting the place (including those who are unauthorised or uninvited) are not exposed to any harm. The occupier has a reasonable duty of care to ensure that the premises are not dangerous for members of the public. It is the responsibility of the owners or operators of any public place to provide safety precautions. This includes providing health and safety protective equipment. For example, as a member of the public, you are expected to wear hard helmets if you are in a public place where there is a risk of falling objects. These are to be supplied by the operators or owners of the place and it is the occupier’s responsibility to ensure that visitors are safe at all times. If you sustain an injury due to inadequate protective equipment as a member of the public, you can make a protective equipment accident compensation claim against the owners. You can contact us for advice as well as when you have further questions. According to the HSE, there are about 9,000 PPE related accidents in the UK every year. This is spread across all industries, with the construction industry coming top. Manufacturing and service industries are also responsible for a large number of PPE related injuries. Assessing the severity of an injury is very important. This is because any compensation claim will be largely determined by the severity of the injury. Therefore, in assessing the severity of the injury, a professional medical assessment is required. We can arrange for a local medical examination for our clients if necessary. You can contact us if you have further inquiries or need any advice on this issue. As a general rule, the more severe an injury is judged to be, the higher the compensation settlement which will be awarded. This is one of the reasons why a thorough and comprehensive medical report on the severity of your injury should be made into a priority. In addition to the immediate issues caused by an injury, there are long-term health effects which can be caused by inadequate protective equipment. It is also important to note that the long-term effect of the injury will also form part of the consideration for inadequate protective equipment compensation payouts. The long-term implications of such injuries are not necessarily physical pain but can also the psychological damage that may arise due to the injury and the financial losses that accompany injuries like this. For example, your financial situation could be greatly impacted by any job loss due to injury, reduced earning potentials and even the inability to continue with a professional career. If you are making a claim for compensation, it is important that these long-term implications are taken into consideration. Report the Incident: It is important that the authorities are aware that an accident happened. The employer also needs to know you have been injured while working. Collect Evidence: Ensure you collect all evidence that may help your case. The evidence could include the PPE you were wearing at the time of the accident, a photograph of the accident scene, photographs of the injuries you have sustained and eyewitness accounts of the accident. Get a Medical Opinion: It is important to get a medical opinion and this means you must undergo a medical examination. Document All Losses: You are advised to document all losses as a result of the injury, as it will also form part of your compensation claim. Following these steps after you suffer an injury caused by inadequate protective equipment can help your compensation case. If you are in need of any further advice about this topic, you can contact us at any time. General Damages: This includes the claim you make as a result of the pain and suffering due to the injury sustained. It also covers the psychological damage caused by the injury. Financial Losses: Include loss of potential earnings, reduced earnings and even job loss as a result of the injury. Arriving at the final compensation total for injury claims could seem complicated. However, your solicitor would look at the nature of your claim and advise you accordingly. When you are worried about seeking professional help, one of the first hurdles to overcome is the cost of working with a law firm. In many instances, you may be charged upfront or ongoing fees in order to bring in professional help. At a time when you might not be working or when you may be facing many expenses as a result of your injury, we have a solution. We are able to offer our services on a ‘No Win No Fee’ basis. Otherwise referred to as a Conditional Fee Agreement (or CFA), this approach can dramatically reduce the initial cost of working with a legal team. We only take our costs from the final settlement total and only do this in the event that your claim is successful. If you would like to discover more about this, feel free to contact our team today. How Much Can I Claim for an Injury Caused by Inadequate Protective Equipment? Toe Injury Severe £7,300 - £10,450 Severe injury, temporary loss of toe as a result of the injury. Toe Injury Full Amputation £27,750 - £42,600 Severe pains and complete loss of a toe. Toe Injury Moderate Up to £7,300 Mild pains which are enough to make you uncomfortable. Foot Injury Very severe £63,825 - £83,235 Likely amputation of one or both feet due to the accident. Foot Injury Severe £31,900 - £53,200 Serious pain, losing the foot over a long time. Foot Injury Serious £19,000 - £29,800 May be corrected through surgery; severe pains. Foot Injury Moderate £10,450 - £19,000 Temporary loss of function of foot due to injury. Foot Injury Minor Up to £10,450 Minor injury, enough to cause damage. Leg Injury Moderate £21,000 - £29,800 Severe pains which take time to heal. Leg Injury Serious £29,800 - £41,675 Likely a leg fracture with severe pains as a result of the injury. Finger Injury Severe fracture Up to £27,925 Could lead to temporary loss of function of the affected fingers as result of injury. Finger Injury Loss of index finger Up to £14,250 Could lead to amputation of the affected fingers. Finger Injury Partial loss of finger £9,250- £14,250 Losing the affected finger temporarily, causing short-term pain as result of injury. Finger Injury Fracture of index finger £6,925 - £9,300 Injury may look small but enough to cause problems. If you need a more accurate idea of what you might receive or other injuries not listed on the table, you can contact our team for a free consultation. One of the most difficult aspects of starting a compensation claim is knowing where to begin. In the aftermath of an injury, you may be struggling for direction. This is particularly true for those who have little to no experience in legal matters. Even if you are determined to seek compensation, knowing where to start is tough. This is why we recommend working with a legal team. If you call our offices, for example, we can offer you a legal consultation free of charge. This is a no-obligation discussion in which we will examine every detail of your case. In doing so, we will be able to provide you with an experienced insight into the potential chances for success and the amount of compensation you might receive. If you do decide to work with our firm, we can then handle the case on your behalf. This will include arranging our ‘No Win No Fee’ agreement, helping you find a local doctor, and proceeding with the filing of all the necessary paperwork. We can also conduct fact-finding and evidence gathering while you focus on recovering from your injuries. With the right law firm on your side, starting a legal claim can be much, much simpler. If you want to work with the best legal team available, we are the perfect choice. Our legal team has spent years refining our knowledge of the injury compensation world and we know how to maximise your settlement amount while still providing insightful, caring assistance. We want you to get the compensation you are owed and we can do this using our ‘No Win No Fee’ agreement, our free legal consultation, and our ability to organise a visit to a local doctor when you need it most. If you want to work with the best legal professionals around, we are the clear choice. Call us today and talk with our team for more information on what we can do to help you. We are here to give you helpful advice about your compensation claim. We can be reached on 0800 073 8804 or by using the web chat features and contact forms on our website. Speak to us today and arrange for a free, no-obligation legal consultation. We’re the right law firm for your compensation claim. How Much Compensation Can I Claim For A Work Accident Claim? Find out how much compensation you can claim for a accident at work and also get free advice from our work accident specialist team. Have you had a slip trip or fall at work due to equipment being on the floor or faulty? contact us for free advice. Have you suffered from a burn injury at work? find out how much compensation you could claim for a burn injury. Employers are responsible for providing, replacing and paying for workers personal protective equipment.